Here’s the pitching version of yesterday’s article about the projected lineup in 2021. This one seems a little easier to fathom, mostly because there are quite a few veterans still around and young guys who you could really see making it to this point. This is almost an impossible task because there are more deserving pitchers than I have spots listed below, but just because a guy doesn’t make it doesn’t mean he’ll be out of the organization. And odds are, a couple of the guys I have chosen could very well be traded and/or not be in the org by 2021. Three out of 12. Not great. Urias would have been there, if he were healthy. McCarthy was just traded and Garcia is on the disabled list. Aside from them, everyone else, well, let’s just call it a big whiff. For the first time, there’s a legitimate challenger for the top spot. Walker Buehler (27): A lot will depend how he fares over the next couple seasons, but he has legit No. 1 stuff. Julio Urias (24): This spot was once reserved for him, but his shoulder surgery likely takes him out contention. I almost put Buehler in this spot. By 2021, he should have a couple full seasons under his belt. As usual, this is predicated on health, which has been an issue for both Buehler and Kershaw in recent years. Even at 33 years old, though, Kershaw could have one more ace-level season in him. Couple that with Buehler’s expected ascent, and this might be the last time we can call Kershaw the Dodgers’ undisputed ace. The road is paved for one of the best present pitching prospects in baseball. Yadier Alvarez (25): Loads of talent, but he’ll have to work to hit this ceiling. Walker Buehler (27): Will be in his first year of arbitration and should be one of the best young hurlers in the game. Julio Urias (24): Urias had long since been penciled into this spot, but that’s why his name was written in pencil. Mitchell White (26): Not as talented as everyone else here, but he has premium stuff and could challenge for this spot. Alex Wood (30): Will need to be re-signed after becoming a free agent after the 2019 season. Has shown flashes of No. 2 stuff. If Urias were healthy, this would probably be his spot. He might be in three years, but Buehler’s future is a little brighter at this point. Still, it’s a good problem to have. If Buehler can hold up physically, he’ll challenge for the No. 1 spot sooner rather than later. Yadier Alvarez (25): Has No. 2/3 starter upside, but it’s a difficult to see him getting to that point right now. Julio Urias (24): If he’s recovered, this is his floor. Mitchell White (26): Could easily see him in this spot, but the Dodgers have tons of talented pitchers as rotation options. Alex Wood (30): Grizzled veteran could be a stabilizing guy at this point. 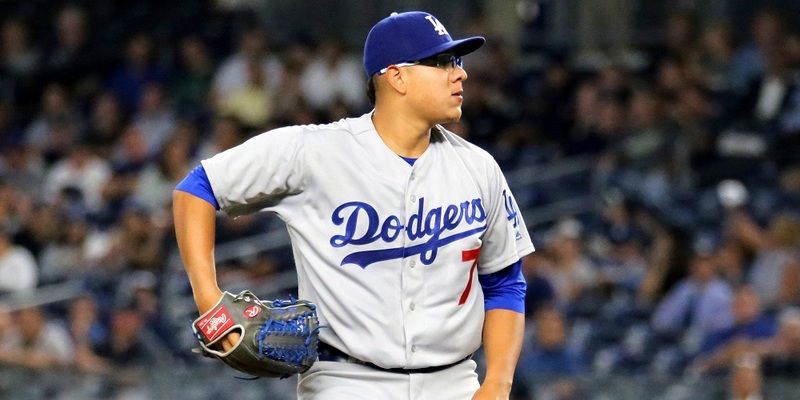 I still believe in Urias, even after his shoulder surgery. As shoulder surgeries go, it doesn’t sound like it was too bad, but we’ll know before 2021 how he fares. If he’s near what he was pre-injury, then there are far worse No. 3 starters to have. The options aren’t as good now, but there are a lot of them. Yadier Alvarez (25): This is probably his realistic role as a starting pitcher. Kenta Maeda (33): Will be in the fifth year of his 8-year contract; could be a reliever by this time. Dennis Santana (25): Plenty of arm talent for him, but there are questions if he’ll be able to handle the rotation long-term. Brock Stewart (29): I’m still on the Stewart bandwagon as a starter, but he likely ends up in the bullpen. Mitchell White (26): Could easily get this spot, but the Dodgers will need some kind of Veteran Presents in the rotation. Alex Wood (30): This is where Woody lands. At 30, Wood should still be a quality starting pitcher in this league. He’d probably be a No. 2/3 guy on another team, but with all this talent, he “falls” to the No. 4 slot … and that’s OK. This spot should be occupied by a youngster with tons of upside. Yadier Alvarez (25): He might begin as a starting pitcher, but he probably finds his way into the bullpen. Kenta Maeda (33): He’d be a quality No. 5 starter, even at this point of his career. Dustin May (23): This might be a year too early for May, but he has future starter written all over him. Dennis Santana (25): If his changeup develops and he can withstand the rigors of a full season, he could be in the mix. Brock Stewart (29): Has the repertoire and pitchability to start, but his command needs a little work. Mitchell White (26): The best package of stuff, pitchability and overall talent of these options. White could end up being much more than a No. 5 starter, as he has the swing-and-miss stuff that makes scouts drool. He needs to show — especially by this time — that he can last through an entire season. If he can, he’ll be a quality starter. This is Kenley’s spot, right? Yadier Alvarez (25): If his command/control doesn’t improve, he could be a dominant late-inning reliever. JT Chargois (30): Hard-thrower could be a deep sleeper to be an impact bullpen arm. Kenley Jansen (33) : It’d be the final year (at $20 million) of his 5-year, $80 million deal, should he not opt-out. Dennis Santana (25): His stuff and makeup would play well at the end of games. Jordan Sheffield (26): Nasty stuff, but may not have the command/control for the closer’s spot. Yaisel Sierra (30): Will be in the last year of his 6-year, $30 million deal and we’ll know long before 2021 if he has a future with this team. Even at 33, Jansen should be near the top of the closer rankings (you know, provided he isn’t ded by this time). If he opts out after 2019, he’d be leaving $58 million (over three years) on the table. I’m not sure he does it, unless he pitches in 2018-19 like he did in 2016-17. A plethora of options to set up Kenley. Scott Alexander (31): Will be in his second year of arbitration with a lethal sinker/slider combo. Yadier Alvarez (25): Profiles great as a reliever, should he not work out was a starter. Pedro Baez (33): I have to think by this time Baez is with a new org, because I can’t see the Dodgers paying $4-5 million for his services. JT Chargois (30): Waiver claim in February 2018 has a chance to be a mainstay in the bullpen, if he’s healthy. Tony Cingrani (31): Has been great so far with the Dodgers, but is also a free agent after the 2019 season. Caleb Ferguson (24): Interesting left-handed profile, if Smeltzer doesn’t work out. Sinker/curveball are legit. Yimi Garcia (30): Would require being re-signed after the 2019 season; seems unlikely. 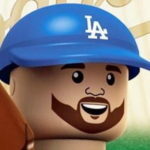 Adam Liberatore (34): Might be too costly by this point. If he isn’t, then that means he hasn’t been performing well. Kenta Maeda (33): Might be a reliever by this point, and hopefully with a reworked contract. Dennis Santana (25): Would look good as a power sinker/slider guy in the bullpen. Josh Sborz (27): Has always had a relief profile, but his 2017 didn’t do much in the way of his prospect status. Jordan Sheffield (26): Similar to Stewart (fastball/changeup), but Stewart has a better health outlook. Yaisel Sierra (30): If he hasn’t made it to the majors by this point, he probably isn’t in the org. Devin Smeltzer (25): Classic lefty specialist, even if he’s a starter in the minors right now. Brock Stewart (29): His fastball/changeup mix could be devastating, and his slider should play up, too. Ross Stripling (31): Second-year arbitration-eligible, could be in the mix, depending how he does in the previous years. Looks like a solid bullpen with many options. A few of these guys could be swapped out with anyone listed above and you wouldn’t get much of an argument, but this seems like a solid mix of relievers. A mix of hard-throwers (Alvarez, Chargois, Santana), length guys (Maeda, Stewart) and the lefties (Alexander, Smeltzer). The Dodgers have a ton of pitching depth — and this doesn’t even consider free agents from outside the organization. The rotation looks deep, as does the bullpen. When a guy like Sheffield doesn’t make the cut, you know you’ve got a deep ‘pen. Either way, the pitching looks awfully strong for years to come.